Why Should You Choose Dogafen Play Group? Dogafen gives great care in ensuring that all of our students are in a safe and hygienic environment. Alongside this, with our professional educational team, we strive to enrich our student’s playing habits. Our Incek Play Group provides services to children between the ages of 18-36 months. While focusing mainly on playing, our Play Group also helps set the basis for academic education. With this, your child gets the opportunity to learn while they play. Our program is lead by an expert team and safety is always of utmost importance. For children playing is an opportunity to gain an understanding of life. A child’s mental progression and motor-skill progression are completely dependent on playing in the early stages of life and these skills are carried on throughout the rest of their lives. Keeping these facts under consideration, Play Group carries a great deal of importance. If you would like for your child to have the best Play Group experience available, you too can visit our institution for the upcoming school-year. 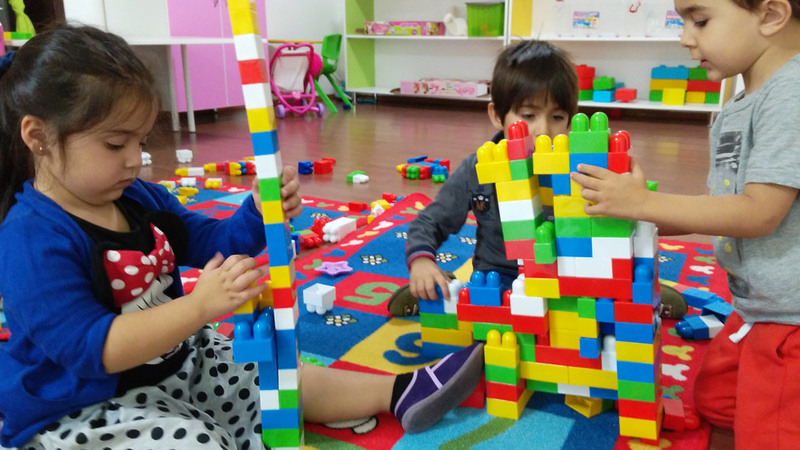 Dogafen Incek Play Group is easily accessible from Golbasi, Oran, Cayyolu, Yasamkent, Umitkoy, Taspinar, Beytepe, Ahlatlibel, Hacilar, Turkkonut, Kızılcasar, Baglica, Beysukent, Tulumtas, and Alacaatli and accepts students from these locations.